How to resolve crumb rubber controversy? 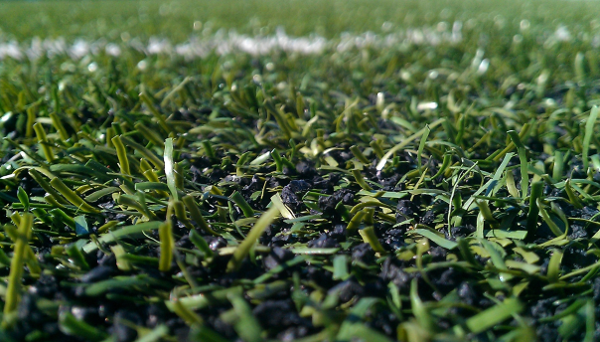 Even though some 100 separate studies have declared as safe the use of crumb rubber in playgrounds and sports pitches, this issue ‘will not go away’ until ‘a definitive statement is made’, according to Robin Wiener, president of the US Institute of Scrap Recycling Industries. During the latest BIR World Recycling Convention & Exhibition in Barcelona, Spain, Wiener expressed the hope that a multi-agency study – involving, among others, the US Environmental Protection Agency – would provide the necessary certainty. Although yet to be finalised, she hoped the results would be available in time for the Committee’s next meeting, scheduled to take place in London in early October. The earliest resolution to this issue would be welcomed, she added, given that states and municipalities in the USA were continuing to come forward with ordinances proposing a ban on the use of crumb rubber in playgrounds and sports pitches or, in some cases, the placement of warning signs alongside them. Also from the Netherlands, Cees Luttikhuizen explained how studies and proposals relating to the crumb rubber issue were likely to develop over the coming years. The Senior Policy Advisor within the Environmental Safety & Risk Management Directorate of the Dutch Ministry of Infrastructure and Water Management urged the recycling industry to position itself centrally in this debate – for example, by involving itself in public consultation processes. At present, he said, negative mass-media broadcasts such as those put out by Zembla in the Netherlands were ‘setting the tone’. If no ‘optimistic scenario’ were to emerge for the crumb rubber industry for several more years, he concluded, then there was a danger that, in the meantime, customers could choose other options. One possibility, he said, was for the industry to explore other applications for used tyres. According to Alicia Garcia-Franco, Director General of the Spanish recycling federation FER, her country’s material recycling from end-of-life tyres (ELTs) had surpassed energy recovery in both 2016 and 2017 – a development she attributed to ‘positive changes in extended producer responsibility schemes’. At the same time, there was a lack of markets for recycled ELTs in Spain, for which increased green public procurement had the potential to provide a massive boost, she said. In his market review, BIR Tyres & Rubber Committee Chairman Barend Ten Bruggencate – also of RecyBEM – spoke of the saturation of the ELT granulation market in Europe, partly because of a slowdown in retreading.